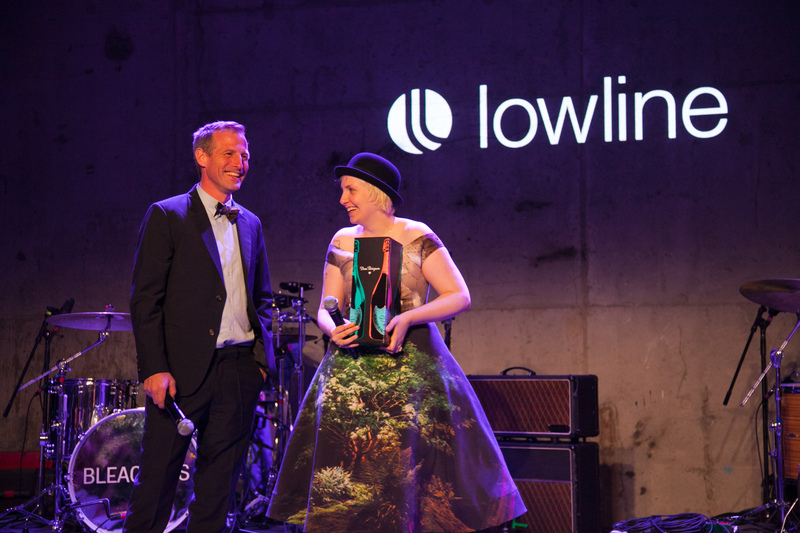 On Wednesday, October 8th, 2014, the Lowline, which will use solar technology to build the world’s first underground park in New York City, celebrated its fundraising Anti-Gala at Skylight Modern in Manhattan. 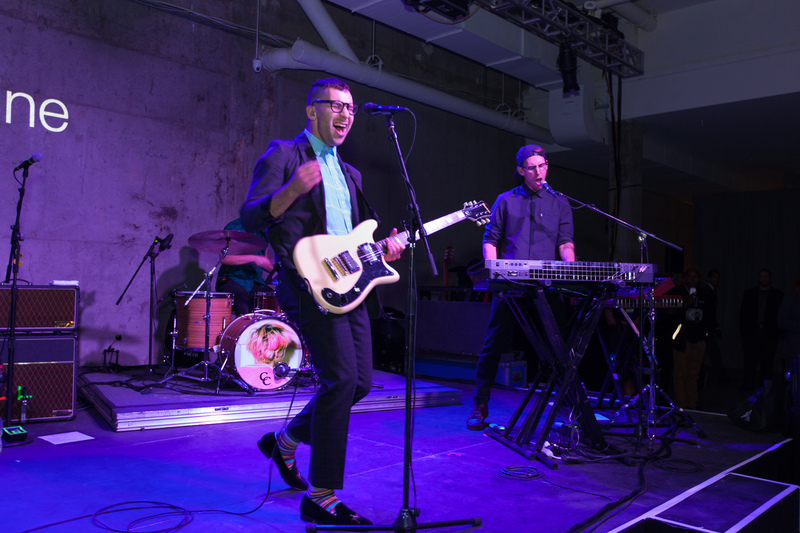 Hosted by Girls‘ Lena Dunham and director Spike Jonze (Where the Wild Things Are, Her), the event capped off with an after party with live performances by Bleachers, headlined by Grammy-winning musician Jack Antonoff, and a live DJ set by James Murphy of LCD Soundsystem. Throughout the night, surprise performances by local subway performers connected the event to the vibrancy and wild creativity of New York City. Notable attendees at the Anti-Gala included: actor Ed Norton, actress Laura Prepon, film producer Megan Ellison, High Line Co-Founder Robert Hammond, artist Tom Sachs, and journalist Serena Altschul. Political elects such as Deputy Mayor for Housing and Economic Development Alicia Glen, Senators Cory Booker and Charles Schumer, and Council Members Margaret Chin and Corey Johnson also showed their support. The Lowline is a plan to draw natural sunlight underground, to build the world’s first public space below New York City’s streets. This innovative technological approach will illuminate an abandoned former trolley station in the heart of New York City’s Lower East Side– enabling plants and trees to grow. Given the clear community benefits of a beautiful new public space, the project is now supported by every single elected official representing the Lower East Side, along with major community organizations and the local business community. 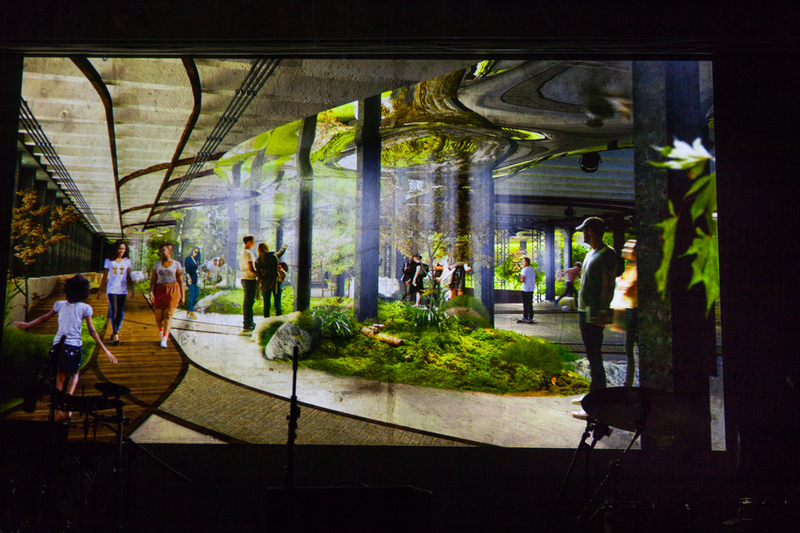 Through the Lowline Young Designers program, the project has engaged hundreds of young people and their families to imagine the Lowline as a community-oriented public space. The Lowline is located in the former Williamsburg Bridge Trolley Terminal below Delancey Street on New York City’s historic Lower East Side.